She comes from New York, he lives in Paris - her name is Nicolle Rochelle, his name is Antoine Chatenet, and fighting against all the odds of their geographic destiny, they found each other. productions on Internet. Instantly upon hearing his songs, she recognized herself within the sound and fell in love with his musical style. That very same evening they met by pure chance in a Parisian jazz club, and GINKGOA was born. From Pop Music, to the Swing of old New York with a mix of Electro French touch beats, they only have one thing in mind: to make generations of people dance, sway, and sing along to melodies that stay in your head long after GINKGOA has left the building and for as long as the Ginkgo, their tree totem, continues to survive. Officially discovered in the well-known French festival "Les Francofolies" where they won the prize for «Favorite Group», GINKGOA has most recently appeared in the USA at the famous «Global Fest» in New York City, and is actively building an impressive international career with a tour of over 300 dates* around the US, Canada, China, France, Eastern Europe, UK, Italy, picking up numerous awards along the way. Their single "From NY to Paris" became the anthem of the perfume Rochas for their European campaign. GINKGOA is now preparing their new EP with a release planned for February 2018. 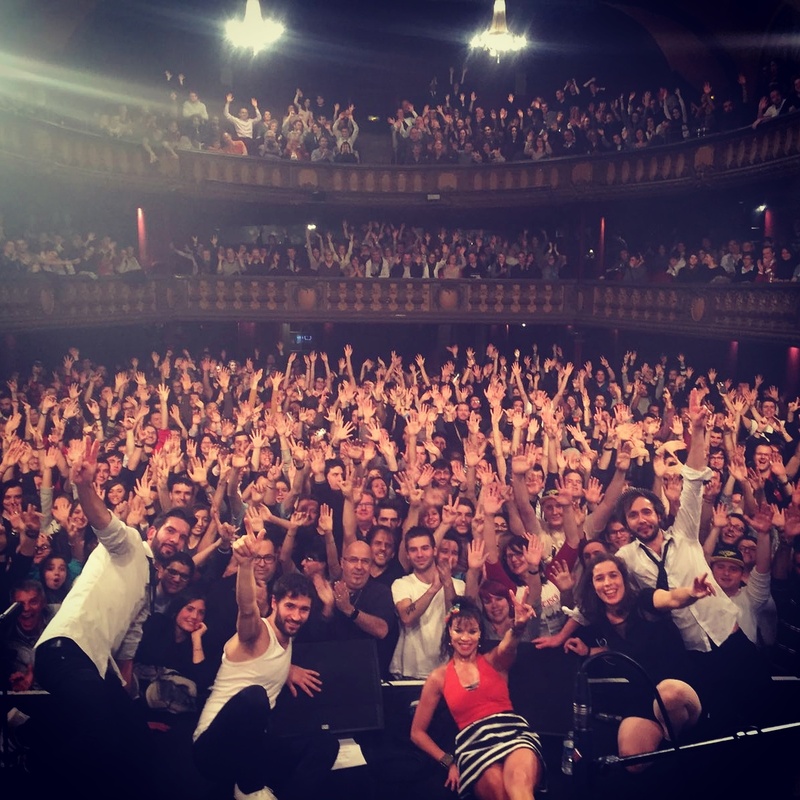 Frequently described as a modern version of the electro-swing heavyweights 'Caravan palace' & 'Parov Stelar' due to their energetic live shows and ability to make any audience dance; critics and audiences everywhere agree that GINKGOA has rightfully earned their own place at the top of this list. Ginkgoa, the France-based swing-infused electronic music duo, have found that firecracker-hot spot where dance crazes of the last century collide. Vocalist and powerhouse frontwoman Nicolle Rochelle can channel everyone from the Blossom Dearie to Missy E with her quicksilver voice. Prolific producer Antoine Chatenet crafts beats and drops, altered swing samples and catchy hooks, that get crowds from all walks of life up and moving. On their latest EP One Time and their US Summer tour, Ginkgoa dives deeper into trap, Future Bass, and electronic club sounds (think Justice, Caravan Palace, or SebastiAn), taking their signature “Swing Futur” further into party-launching territory. Honed on the road, Ginkgoa’s tracks bang and sway, capturing the intensity and pleasures of the group’s high-energy live shows. “We both listen to a lot of future house, hip hop, and Nicolle has been into trap for a few years,” adds Antoine. 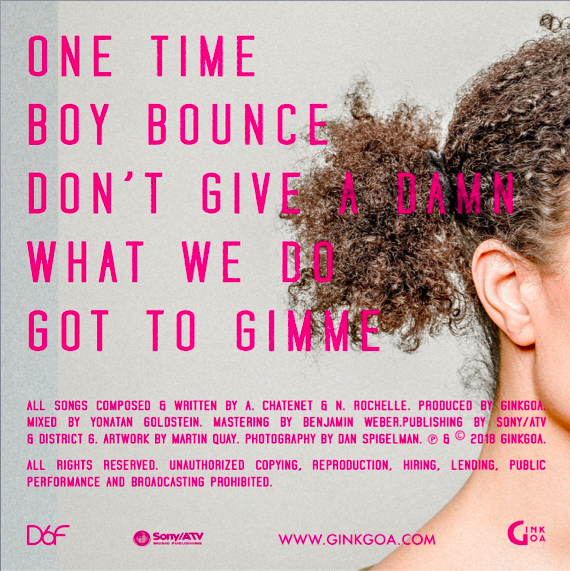 “We’re influenced by all this music we love, and you can hear it in what we’re doing, and in the way Nicolle uses her voice like when she raps on tracks like ‘Boy Bounce.’” Whatever the influences, the songs are road tested and ready to heat up the dancefloor. 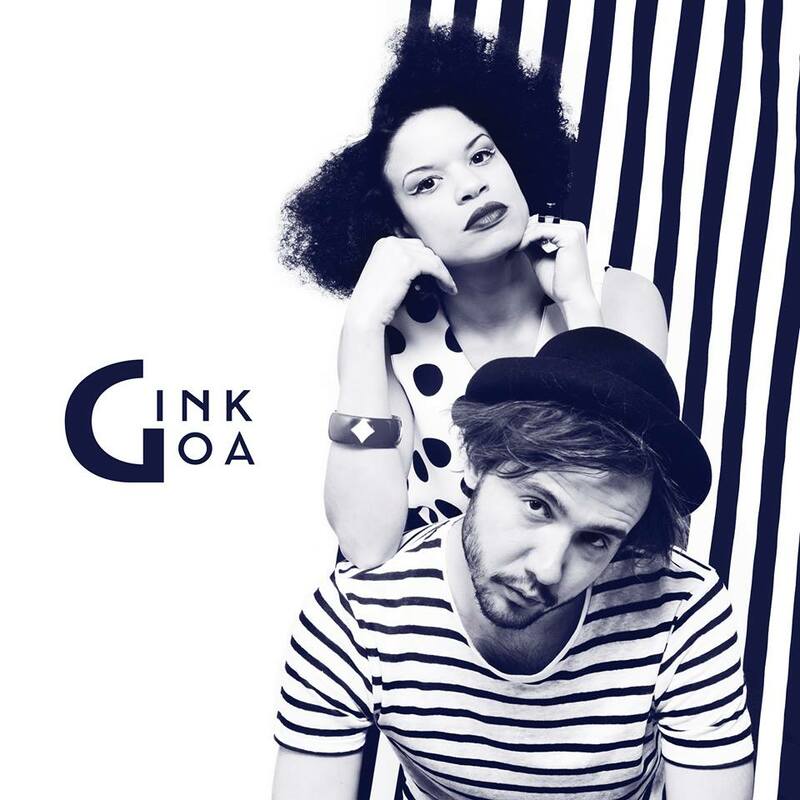 Ginkgoa test drives their tracks live. One recent example: on a dull day on a seemingly endless tour in China, Nicolle and Antoine were at the end of their ropes. “I suggested we make a track,” recalls A. Chatenet. They set up an impromptu studio on the hotel desk and lit up the little room with what became “Don’t Give a Damn.” The next show, they took it on stage and the crowd was dancing like crazy. That creative spark brought the duo together several years ago, when Nicolle emigrated to France from her hometown of New York to sing and act. She stumbled across a few tracks by a young producer (A.Chatenet) online, only to run into him that evening at a Paris club. The two musicians clicked and started making music together. Yet over hundreds of tour dates scattered across the globe, the two found ways to speak to their other, more club-oriented loves. Antoine laid down grooves inspired by some of the powerful popular electronic music, ideas and tricks he’d picked up from sharing the studio with other French producers. “This time around, I use old swing samples and rhythms [‘Got to Gimme’] but with lots of trap and housy Ed Banger-style influence,” says A. Chatenet. “I work in the studio in Paris with all the French electro producers. Lots of them are from labels like Ed Banger, so that sound is in the air,” that glittering electronic ebb and flow that floats over a post-disco thump. The duo never loses sight of this key goal: bringing the party. “We inspire each other, and I think that energy reaches the crowd when everything comes together,” Antoine says. 06/15/2018, EP Release, "One Time"